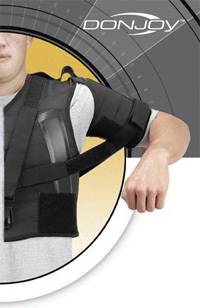 https://www.betterbraces.co.uk/saunders-sully-shoulder-support has the capability to protect in more than just abduction and external rotation. It comes with straps that are applied to the neoprenen and pulled ocer the shoulder for MDI. 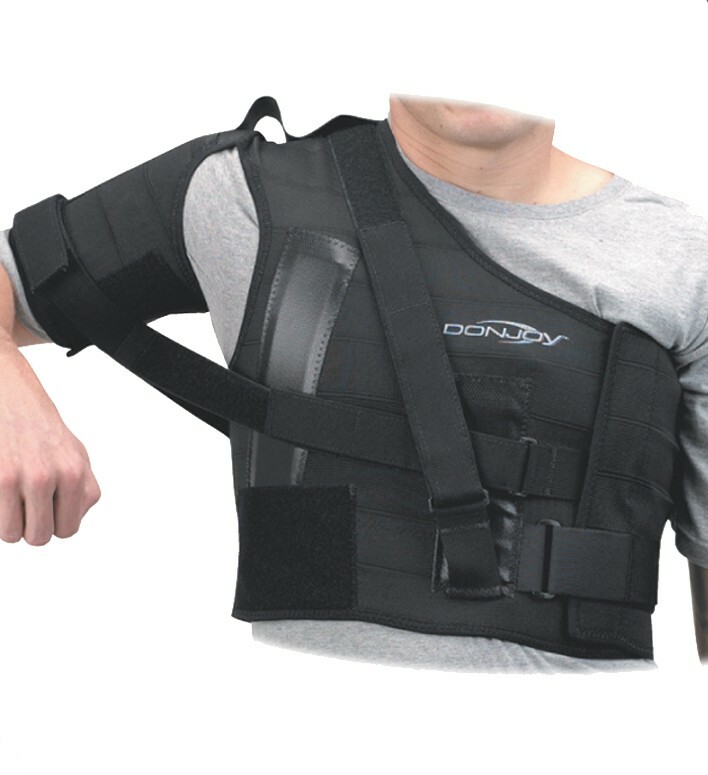 Neither of these will keep your scupula from winging, but at least with the Sully you might be able to use one of the straps to hold donw the scapula.